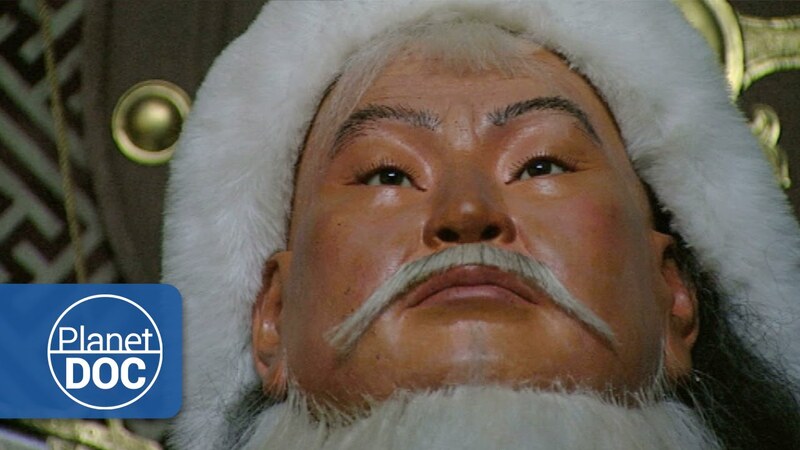 800 years ago, this man, called Timuyin and better known as Genghis Khan, “The King of the Universe”, managed to create the largest empire ever known in the history of humanity. It all begin in the year 1190 when Genghis Khan managed to bring together the different nomadic tribes of Mongolia in a single, powerful army of 200,000 men. This, and his undoubted military genius, enabled him to conquer vast territories, stretching from the Pacific to the heart of Europe, and from northern Siberia to India, Iran and Turkey. With the end of the Khan dynasty, a series of civil wars threw the country into confusion, until, in 1578, Buddhism was established as the form of government, under the leadership of Altan Khaan. Two centuries later, Mongolia came under Chinese control, until 1924 when, with the creation of the soviet bloc, the country converted to communism and became a satellite of the USSR. With the arrival of the Russians, Mongolia underwent rapid changes, modernising and industrialising. But with the fall of the Berlin wall in 1989, and the consequent disintegration of the Soviet bloc, the Russians left just as quickly as they had arrived, and overnight Mongolia was completely paralysed, suffering political and economic collapse from which it has still far from recovered. Since then, the city has rapidly deteriorated, and its inhabitants struggle to survive as best they can. The Gobi is an extreme, arid desert, covering a third of Mongolia. With temperatures of up to 50 degrees centigrade in summer, which generally fall to 40 degrees below zero in winter, life in the Gobi is harsh and difficult. he Tansendarya live in a camp composed of four gers, the traditional shelter perfectly adapted to the needs of nomadic life. For them, the horse represents much more than simply an animal used for transport and carrying goods, which they began to tame 4,000 years before Christ. Small, fibrous, and incredibly resistant, with strength greatly out of proportion to their size, these horses were key in enabling Genghis Khan to create such a powerful army. While it is still summer in the lowlands, up in the valleys of the Dorkhod Sayani mountains autumn arrived several weeks ago, suddenly and without warning. This is the home of the Tsaatan, one of the smallest and least well-known tribes in Asia. The life of the Tsaatan has never been easy, but since the arrival of communism, part of their culture, traditions and daily life have been destroyed. The herds of reindeer, which had belonged to them since time immemorial, became state property. The Mongolian government accuses them of sexual relations between cousins, brothers and sisters, and even parents and their children. The Tsaatan, which literally means “the reindeer people”, are an ethnic group originating in Russian Siberia, with their own language whose origin lies in Turkey. In the Altai range, winter has arrived with even greater force than normal, and at the start of October a thick layer of snow already covers the mountains. Though we are still in Mongolia, the majority of the people who live in this region are of Kazakh origin. Like the Mongol nomads, they too live in gers, but theirs are considerably bigger and much better decorated. Nothing could be more exciting and enjoyable for a Kazakh from the mountains than to go out hunting with his eagle. These hunters always use female golden eagles, which they consider to be much more aggressive than the males. The Kazakhs use nets to trap eagles when they have just eaten and so are unable to fly. For the first month, they are kept inside the ger, to accustom them to the sounds and smells. Then, for several weeks, they are trained so they maintain their balance on the arm of the rider as he gallops along. Finally, and most difficult of all, they are trained to return to their master after they have been released. From the time they are caught, they always remain close by him, even sleeping at his side. Today, and because they are isolated by the Altai mountains and the river Hovd, these hunters have been able to preserve their language, their cultural traditions, and their identity as Kazakhs. And that is the story of three ethnic groups that live in a world of constant movement, struggling to preserve their most valuable treasure, their culture, which, little by little, is being wiped out by a society engaged in a headlong rush towards globalisation.